A life-sized boxing ring occupies center stage in the middle of the open “adventure arena”, where continuous cultural events, as well as sport and dance performances await the visitors. According to the itinerary, visitors will be able to meet star athletes and official ambassadors of the Sports Capital. For the benefit of the visitors, a reporter from the official media partner, M4 Sport Channel, will provide live commentary and broadcast the events taking place in the adventure area, and these events can be viewed by the public from the stands right next to the ring, or from a distance on the large-screen LED broadcast above the ring. In the Budapest-stand sports zone, with the help of performers and athletes, visitors can get personally acquainted with the Hungarian-developed "football table", or teqball, and watch table tennis, and streetball games. There will also be fencing, rowing and biking, and everything encountered can be tried out and experienced by everyone. 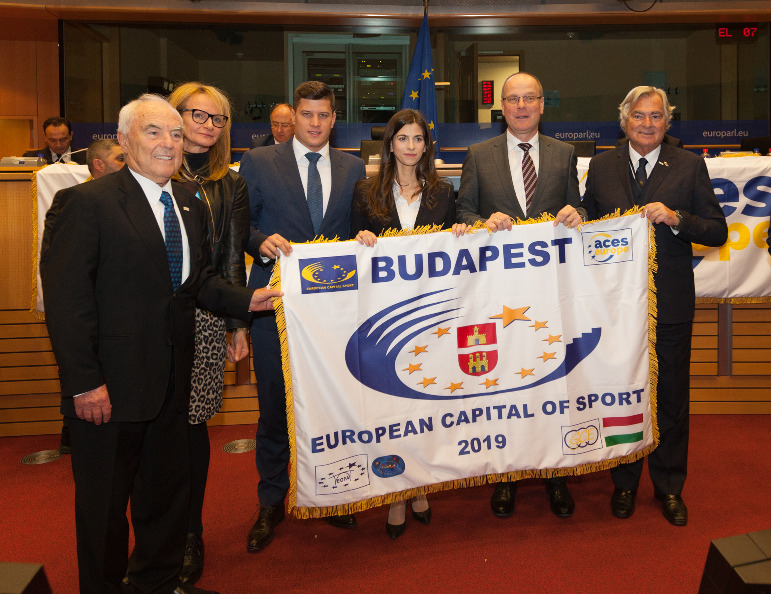 The events at the Budapest Festival and Tourism Center are not only for traditional sports fans and enthusiasts, but also for those interested in the increasingly popular esports.With the help of the One Million for Hungarian Esports Association, there will be a chance to not only watch the battles of confirmed athletes and accomplished esport competitors - with commentary by sport reporters - but also for enterprising visitors to try their own hand at esports.